A while back I encountered the Every Man Jack brand. This men’s grooming product brand stuck out for two main reasons: first, it’s very vintage-cool “faux” wood presentation. Secondly, for its affordability. As you might all be aware, with the growing interest of men for grooming products more brands have joined the party and the pricing for many of these products has climbed. 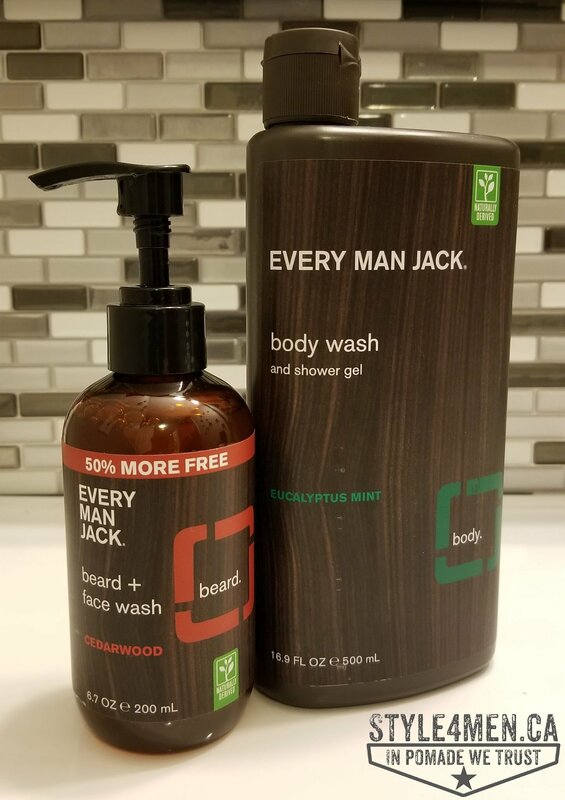 Every Man Jack (EMJ), as the name states, is targeted for “every man” and as such the price point is within the reach of every guy. In short you won’t have to skip a meal or a car payment to get a few essentials. At Style4men.ca we strongly believe that making an effort to take care of yourself shouldn’t require you to change your financial plan. We therefore really like brands that cater to that reality. A big thank you and shout out goes to the Every Man Jack Team (Sarah and Peter) for making this review possible. Let’s get right into it and start answering the question: Should I bother with Every Man Jack products? As you can see on their web site, EMJ offers a few sizes to suit your specific needs, but the pricing is adjusted so you getting an honest product quantity. 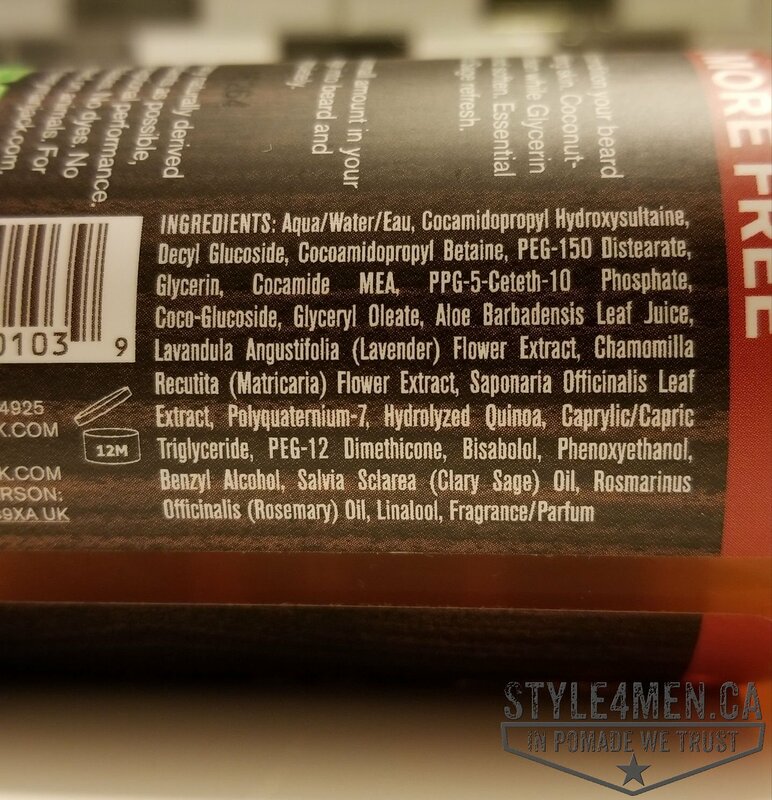 For example the 500 ml body wash bottle goes for just under $15 on Well.ca. You might actually already be paying proportionally more for your current body wash. To me that’s a no brainer! Pricing is important, but it’s only relevant if the product works and works well for you. I am a regular guy with a regular life. An office job from Monday to Friday with busier suburban weekends. Generally speaking I don’t need my body wash to be able to wash off tar and grease or saw dust. I need something that will get me cleaned up and won’t dry my skin out. Concerning the overall product offering, Every Man Jack is an interesting brand as they do offer a full product line. Many cool companies have 1 or maybe 2 awesome products, but you end up having to get the remainder of your necessities from another brand. For example, a brand which only offers a shaving cream. This cream might be the cat’s meow but you end up having to follow it up with an aftershave from someone else. That might be totally fine, but I personally enjoy working with products that have been planned to complement each other or at the very least just work well together. Things just tend to fit better. I am extremely lucky and do not have any known allergies or skin ailments, but at the same time I don’t want to tempt the Devil and mix things together that might trigger unpleasant reactions. What I am getting at, is that Every Man Jack has a complete product line that will literally cover you from head to toe. From the washing to the styling without forgetting the grooming. That’s make it a one stop shop! T he first product I tried was the volcanic clay facial wipes. Washing you face on a daily basis is just a good thing to do. When you think of it, that face of yours is exposed to everything, every day. The only other body part seeing that much action are your hands…and how often do you wash them in a day? Yeah, me too! I personally really like the convenience and portability of a wipe. That means that I don’t need to slop up the sink or do this in the shower. I can just grab a wipe and clean up. The package is rather large with some 30 wipes. So enough to cover you for the month. This product is aimed as an oil defense. I don’t have oily skin, but I like the volcanic clay pitch. Besides I am normally using a charcoal face wash so this is within the same league. 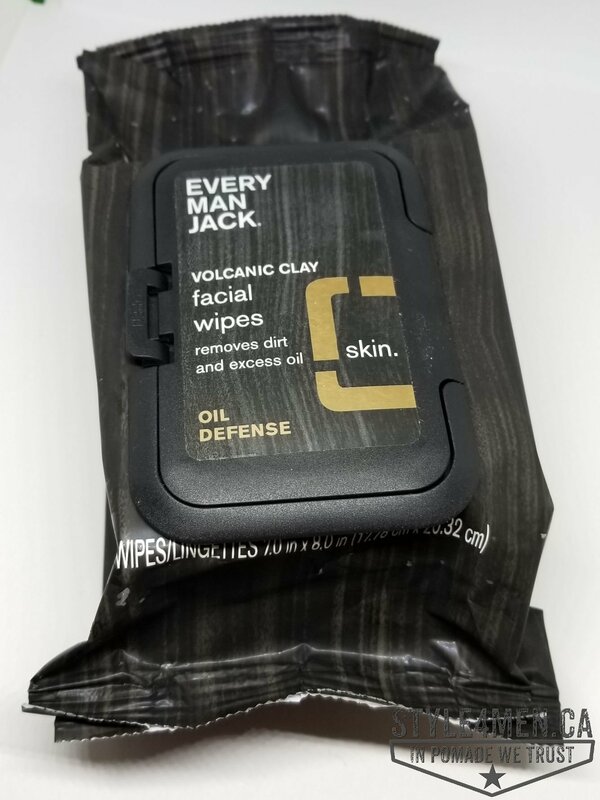 Because the product is identifying itself as a volcanic clay, I was somewhat expecting the wipes to be black or gray – nope. They are white! 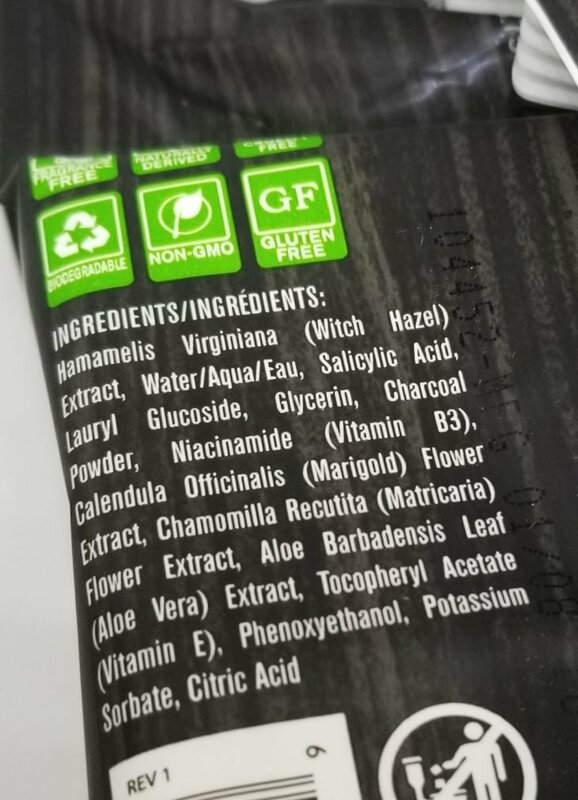 Some of the rock star ingredients are witch hazel and aloe vera. Your skin will approve! 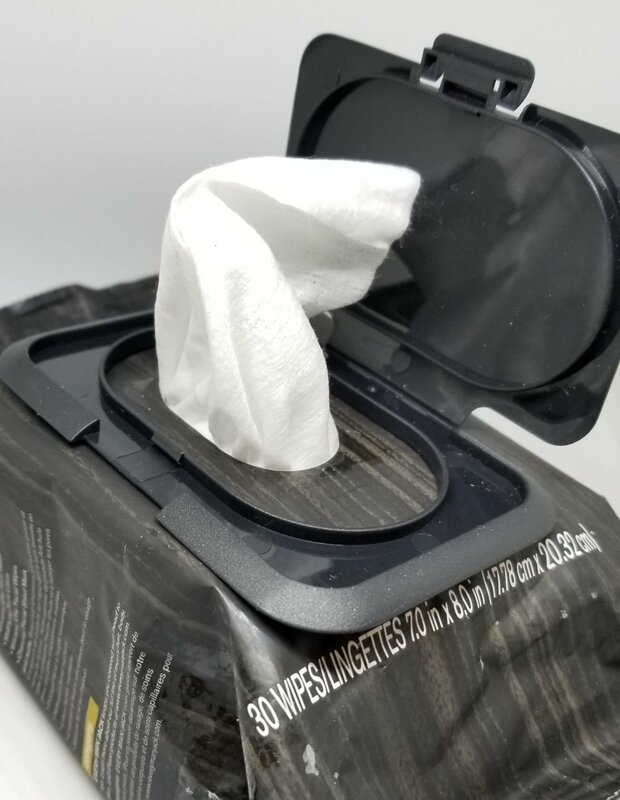 The wipes have a little bit of a fragrance, but it is so mild and discreet that I am not able to clearly identifying it. Maybe something like a fresh vanilla if that makes sense. The wipes are a good size and humid without being wet. I was able to give my face and neck a good wash. My skin felt clean and comfortable making this product an easy “like”. 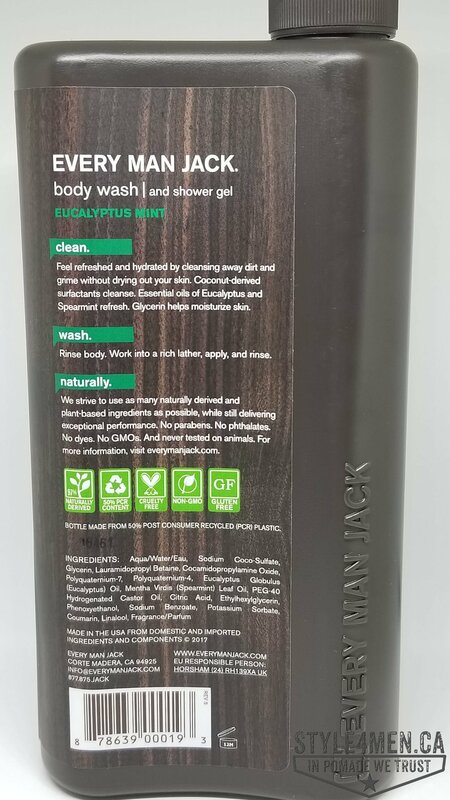 The body wash appealed to me on a few levels: the eucalyptus mint fragrance is nice and fresh while not being overbearing nor is it triggering an intense cooling or tingling sensation. It’s perfectly civilized. The liquid is a clear and thick gel that lathered up generously. Easy to work with and to rinse. 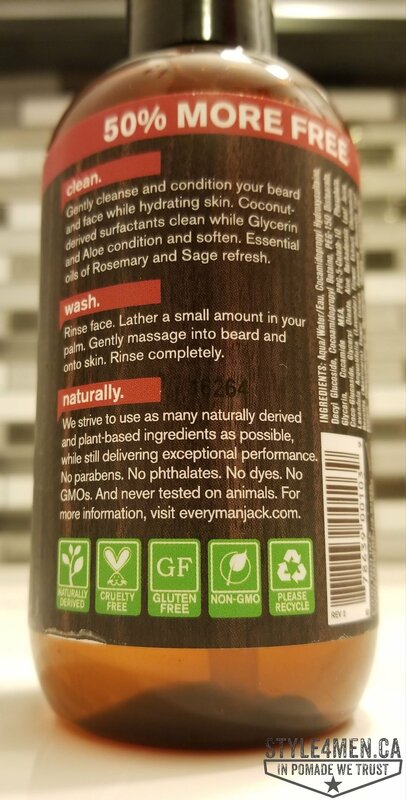 Often enough body washes are trying to accomplish too many things and end up not really being that great at any of mandates. Here, I felt like I got a good and comfortable wash, the suds were easy to rinse off, my skin did not feel oily, nor did it feel dry. With detergent based body washes, your skin is strips of all protective oils your body produces in order to protect itself. Usually, those recipes will include portion of oil to compensate for that first effect but don’t necessarily gauge thing correctly. 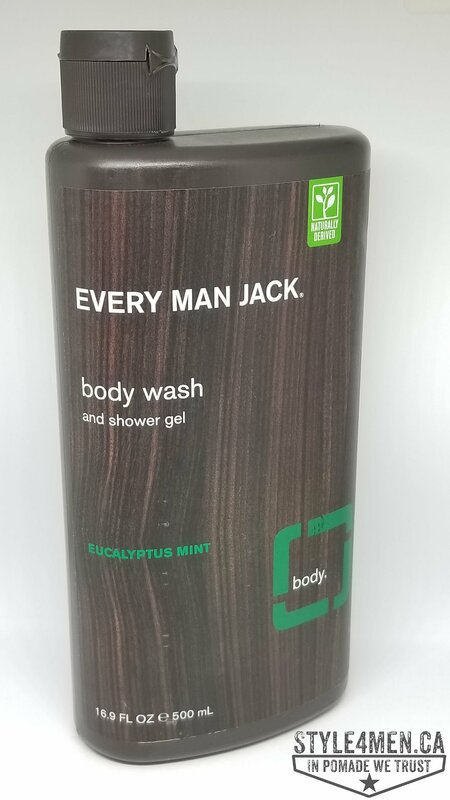 I was thoroughly impressed with the Every Man Jack Body Wash. I moved on to the “beard + face wash”. I will admit not being big on product aimed at two purposes as they usually end up compromising on both targets. Here the target is your mug which in reality is composed of two different surfaces: skin and beard. Now, let’s be clear I am not sporting a Zeus beard, but I don’t necessarily shave every day and as such there can be a fair bit of growth. Having a product that will do a good job here is appealing. I pumped out two shots of the face wash and gave things a scrub. First off, it is very smooth. There is nothing aggressive or abrasive here. Then came the rinse. Again, just like with the body wash the product came off with ease leaving no residue. My mug felt refreshed and moisturized without being oily. Nice! The cedarwood scent is subtle and discreet. We can safely say that none of these products will interfere with your cologne of aftershave. So far, I am totally impressed by this product line. Coming back to our initial question: Should I bother with Every Man Jack products? The price to volume (or size) – checked. There you have it gents: Every Man Jack is Style4men.ca approved. Stay tuned for the next reviews where we will be covering their shaving suite of products and hair paste.